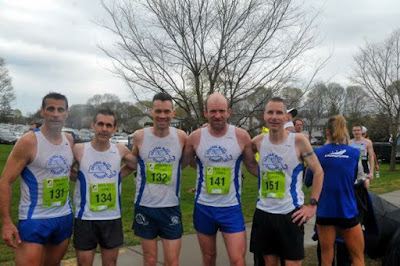 The Central Mass Striders men’s team scored first place within the USATF New England teams, having the most points among the age group categories at the Wachusett Mountain Road Race in Princeton, MA. 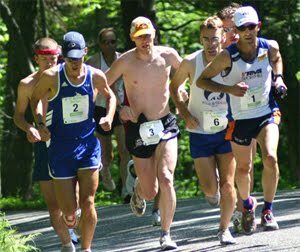 The race was taking part in two race series: USATF NewEngland Mountain Circuit (race number 3) as well as the kick off race within the USATF New England All Terrain Runner Series. Runners only needed to run to the top (approximately 3 miles) to score in either series. Runners could also run down the mountain as well to complete the 10K distance. A warm day met the field of 340 plus runners. CMS runner, Scott Mindel led all runners up, capturing the 2018 Wachusett Mountain Road Race King of the Mountain. He maintained his 30 second lead at the top all the way down to also take the overall 10K. CMS placed 10 runners in the top 20 for the 3 mile and 6 out of the top 25 for the 10K. 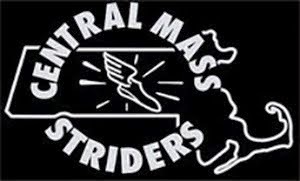 The Central Mass Striders men’s masters team won the 40+ team competition at the USATF National Masters 10K Championship in Dedham, MA. The James Joyce Ramble and Dedham has hosted the championship in recent years. Nine 40+ teams competed. CMS placed 7 runners in the top 26 places and 3 in the top 13 to take the team win over solid teams from the BAA, Garden State Track Club, Atlanta Track Club, HFC Striders, et cetera. The early morning rain let up as the runners started the race at 11AM. CMS had 7 runners finish the race and was led by Patrick Rich of South Hamilton who finished 2nd overall in 33:02, a half minute behind winner David Angell who took the CMS team photo below. Next to cross the line for CMS was Greg Putnam who placed 10th overall (3rd age group) and a net time of 34:19. Michael Quintal was three seconds back in 13th place (6th age group). Derrick Jones was the 4th CMS runner running 34:33 placing 15th overall (4th age group). Joshua Perks followed in 19th place (9th age group) with a time of 35:16. Joe Shairs placed 19th and a time of 35:51. David Principe broke 36 minutes (35:57) and placed 26th overall and 6th in the 50-54 age group. 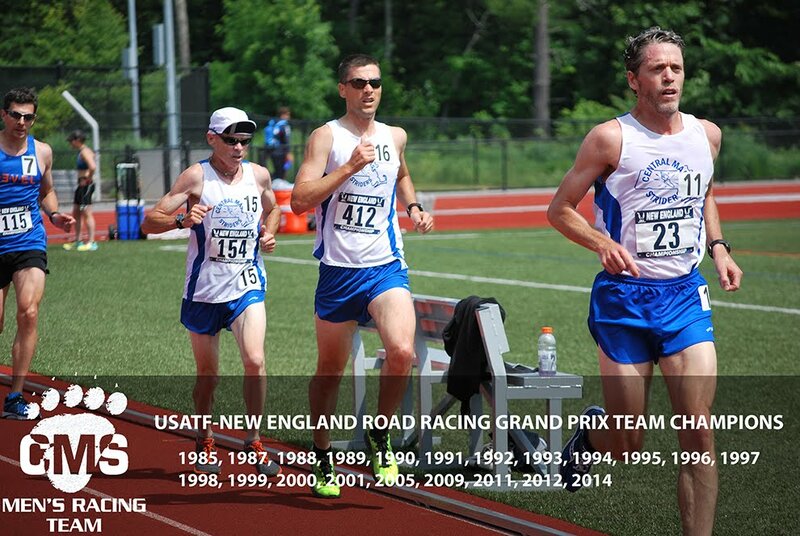 The following ran under the USATF Age-Group guideline: Patrick Rich, Greg Putnam, Derrick Jones, & David Principe. While the CMS masters were taking home the national title on the roads (James Joyce Ramble 10k) another squad was tackling the mountain series. 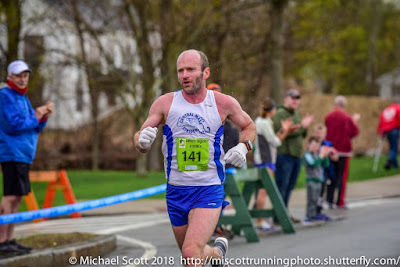 The CMS squad took first in the open, 40+, and 50+ at Sleepy Hollow (Huntington, VT), the first race in the 2018 USATF NE mountain series.